Prep 5 were lucky to have Mr and Mrs Hull to visit, to talk about being a lawyer, barrister and how a courtroom works. 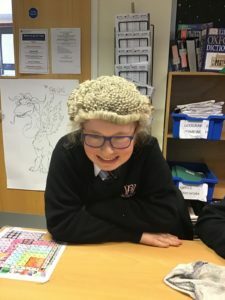 The children were fascinated by the process of being in court, and the wigs and gowns, although most questions were about how to avoid jury duty! 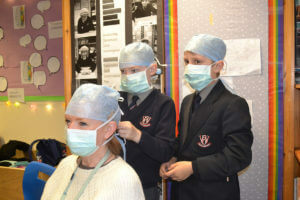 Next we were taught about being a physiotherapist and an orthopaedic surgeon by Mr and Mrs Brunton. Firstly the children were each given a (real) bone and had to place them in the position they thought it should be located in the body. Some were surprisingly difficult to guess. Then we watched one pupil have her arm set in plaster. One pupil, Josh C, was able to talk knowledgeably about plaster casts as his foot is currently broken, so we had some real life experience as well. 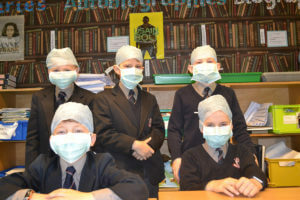 We enjoyed dressing up in surgical masks and headwear. Bea H’s grandmother came in to show us her CBE medal, and to talk about her work with the Exmoor Society. 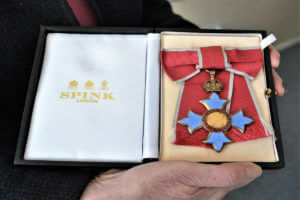 She told us about her role, brought in badges and taught us about the varying aspects of her long career in teaching, being a governor of West Buckland School, and taking care of our national parks.